The 38th annual Florida Antiquarian Book Fair takes place April 26th through April 28th. 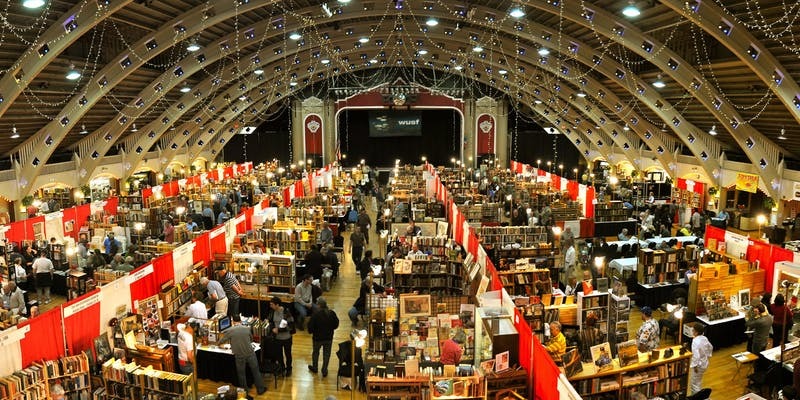 Featuring over 100 specialized booksellers from around the nation, the fair is the third largest in the United States. Hours are from 5 p.m. to 9 p.m. on Friday, 10 a.m. to 5 p.m. on Saturday, and 11 a.m. to 4 p.m. on Sunday. Tickets are $10 and are good for the entire weekend! If you only want to go one day, Saturday admission is $6 for a Saturday only ticket. Ticket sales benefit the St. Petersburg Public Library System! For more information, visit http://www.FloridaBooksellers.com.